Dara is making headlines for refusing to respond to questions about her former 2NE1�groupmate Park Bom at the press conference for JTBC's 'Mimi Shop'. At the press interview for the upcoming beauty variety show on April 25, Dara was asked to comment on the recent controversy surrounding Park Bom's past drug case. A reporter asked, "I heard that you're in contact with Park Bom. Please let us know how she's doing in the midst of the recent issues." 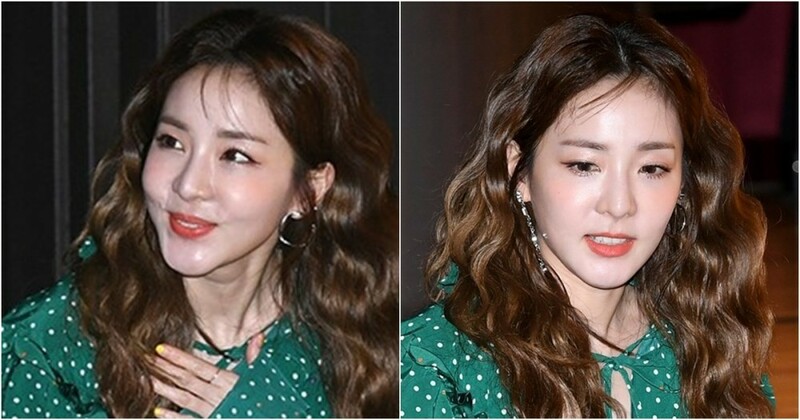 Though Dara was previously seen all smiles during the conference, it's said she immediately clammed up and stopped making eye contact with reporters when asked about Park Bom. A staff member related to 'Mimi Shop' then spoke up, saying, "We're only accepting questions relating to 'Mimi Shop'." However, it's reported Dara didn't recover from the unexpected question as she's described as being on edge for the remainder of the press conference.